Welcome to John Duff Limited! 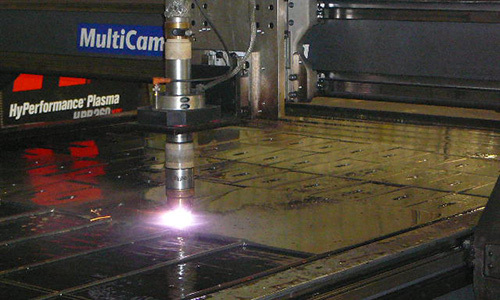 We are a multifaceted custom metal fabricating company located in Petrolia, Ontario. We have been in the steel fabricating industry for 50+ years, allowing us to offer our customers a wealth of knowledge and experience. At John Duff’s we not only do production runs but create ‘one off’ items for clients. Visit our products/services to view some of the interesting projects we have worked on in the past. We service a number of industries, including the industrial, manufacturing, agricultural, commercial and construction industries. It is our pleasure to partner with our customers, to help them materialize their vision, and to ensure that each project is completed with the highest quality of workmanship. 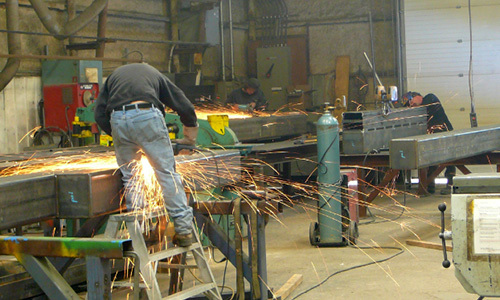 Our fabricators take great pride in their skills and the results show in their work! It takes a lot of bumping in the brake to get a square to round transition just right. You just never know what you will find on the shop floor!